New procurements and a 7% increase in the cost of the UK Ministry of Defence’s Equipment Plan 2016 to 2026 means the Department will have to find an additional £6 billion if it is to fund its future equipment requirements. These are the findings of a National Audit Office report into the MoD’s Equipment Plan for the next 10 years. The cost of the plan, which is made up of £82 billion for equipment procurement, £91 billion of support costs and a contingency of £5 billion, totalling £178 billion, has risen by 7% compared with an increase of only 1.2% between the 2013 to 2015 Plans, said the NAO. General Dynamics Land Systems–UK has put forward the PIRANHA 5 as a contender for the UK Army's Mechanised Infantry Vehicle programme. The NAO says the MIV will create additional spend over the 10 years of the MoD's Equipment Plan (Photo courtesy of GD-UK). 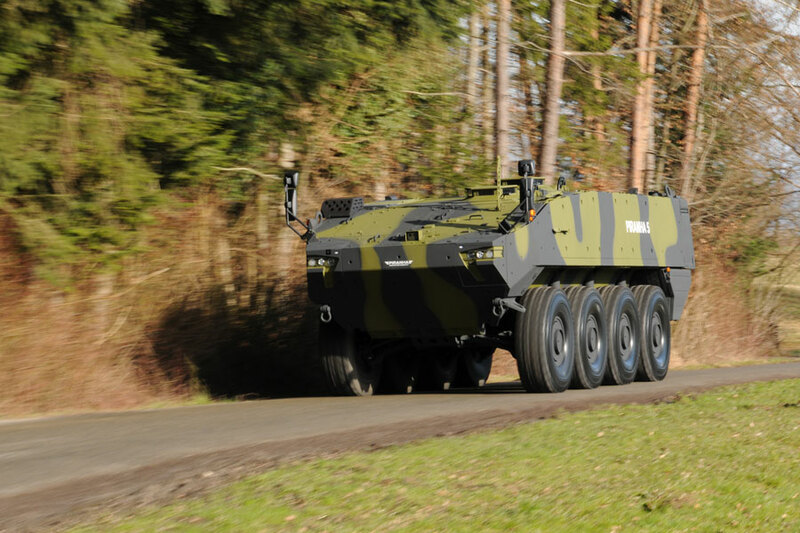 The report highlighted significant new procurements such as the Mechanised Infantry Vehicle for the British Army and the Poseidon Maritime Patrol Aircraft, which alone add £5.5 billion of additional spend over 10 years. 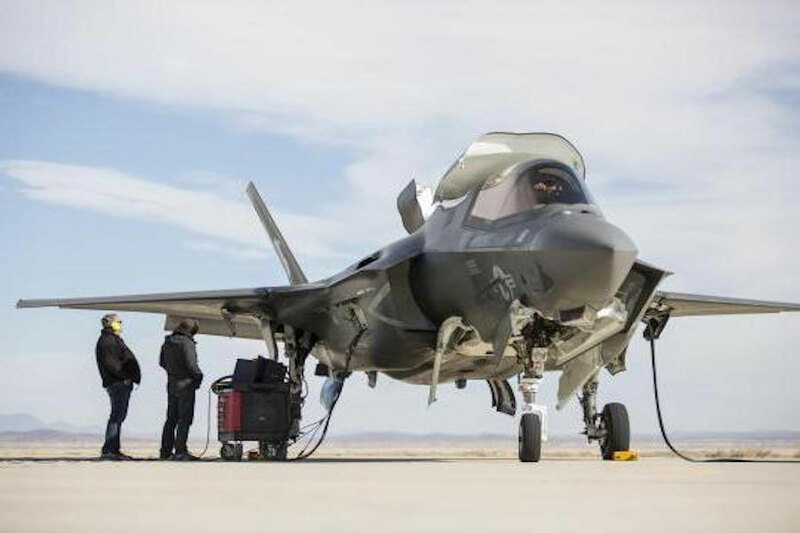 The MoD also plans to extend the first production tranche of Typhoon fast jets and accelerate purchases of the F-35 Joint Strike Fighter aircraft, whose cost is being reviewed by the newly-inaugurated Trump administration. The MoD’s support cost budget is also likely to come under increasing pressure, says the NAO, due to new procurement commitments announced in the 2015 Strategic Defence and Security Review, which will require support in future Equipment Plans. According to the NAO’s report, the MoD has limited room to manoeuvre if it has to finance any further capability requirements as the Department has already allocated all headroom previously set aside in the plan, including the redistribution of £9.5 billion of headroom from the 2015 plan. Most of the low hanging fruit in terms of eking out cost savings from frontline commands has already been achieved, says Professor John Louth, senior research fellow and director for Defence, Industries and Society at the Royal United Services Institute in the UK. “The sense that the the Equipment Plan is secure and solid is open to challenge," says Louth. "There isn't a lot of time in a 10-year cycle to address those numbers." Fluctuations in the value of the pound in response to Brexit is also likely to impact the MoD’s ability to keep the Equipment and Support Plan affordable. 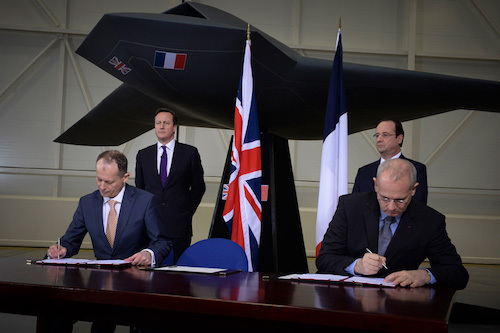 Imports of equipment (Predator UAVs, C-17 aircraft, as well as spares), are likely to rise in line with a falling pound. The NAO’s report states that most of the additional savings the MoD has to find are likely to come from what it described as transformational activities within the MOD’s procurement arm, Defence Equipment and Support (DE&S), £1.7 billion from the application of the Single Source Contracts Regulations and a further £0.8 billion from other sources. Although the MoD has apportioned the savings target between front-line commands, the NAO says it had not identified which projects would provide these savings before finalising the 2016–2026 plan. A key element of the transformation within DE&S has been the creation of a new professional function of Project Controls, which the MoD says will enable it to better analyse and predict the time and cost outcomes of defence programmes. DE&S has also sought to improve its capabilities in areas such as risk management, schedule management, cost estimating and cost controls. In its Equipment Plan, the MoD says the Complex Weapons pipeline and the Submarine Enterprise Performance Programme (SEPP), will also help deliver efficiency targets. SEPP supports the acquisition and maintenance of submarines as well as delivering circa of £900 million in savings against the 10 years to financial year 2020/2021. However, Professor Louth of RUSI says that reforms within DE&S are more likely to have longer-term benefits and are unlikely to address numbers or the cost of equipment programmes in the short term. "If you look at previous reform programmes," he says, "we spent billions on smart acquisition, then we felt we needed another change programme. It doen't fill you with the greatest of confidence that it can be put right."